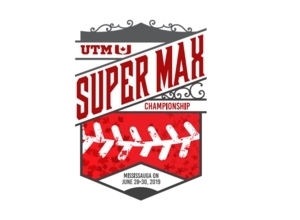 Welcome to the home page for the UTM Super Max Championship 2019. This is our newest tournament addition, and we are excited to have a great list of teams attending this June/July long weekend. UTM has partnered with the Mississauga North Tigers, and Event Connect to offer a great weekend of fastball for U16 and U19 divisions. We have over 45 confirmed teams, so there will be plenty of ball played over the 3+ days of our event. We have secured diamond space across the Mississauga area, with most facilities being at/near entrances to the 401 highway. We also have plenty of hotels to choose from, and all of these facilities are close to the locations that teams will be playing out of. Thank you to all the coaches & managers who have chosen to make this tournament part of your summer 2019 plans. We still are accepting teams at U19. We will close U19 registration as of February 1st... Click the button below to register.